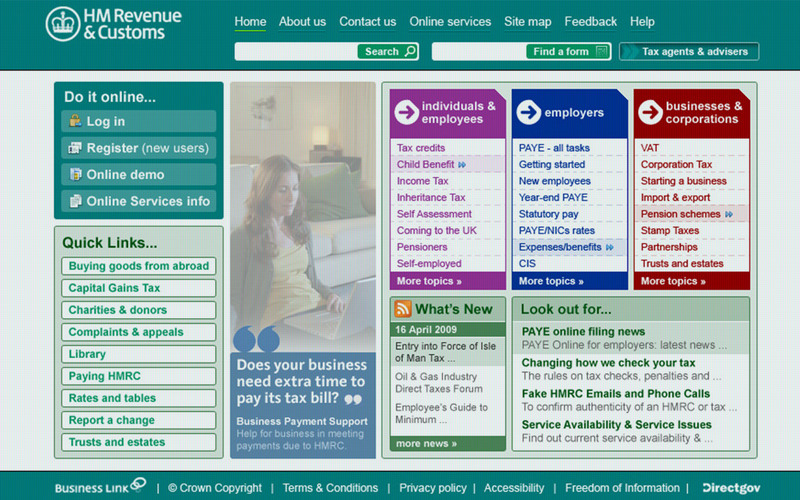 In a bid to reduce the number of calls being made to the helpline, the decision was made to try and make the HMRC homepage more accessible and navigable and act as an aid to finding the information people needed, rather than a hinderence. 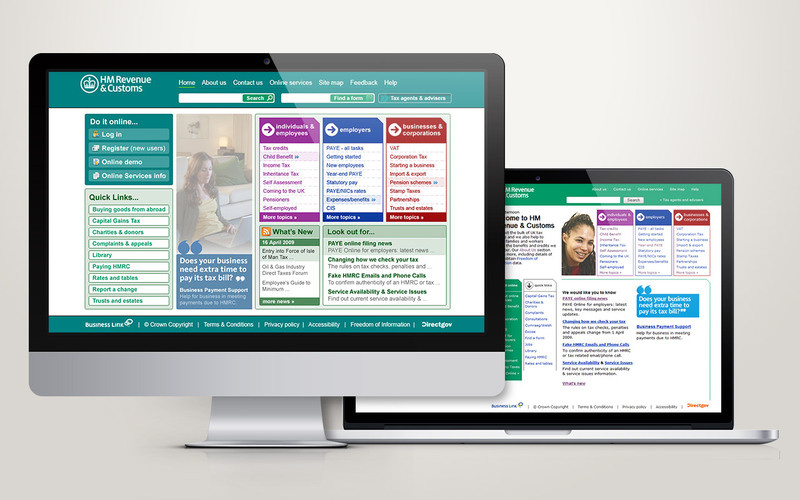 The end design had to adhere to stringent AAA accessibility requirements and with the aid extensive User interviews and eye-tracking usability workshops resulted in a 72% drop in calls in the first week alone. NB: As of 2014, The service has been integrated into the main direct.gov umbrella site so is no longer in use. HMRC (HM Revenue & Customer are the UK’s tax authority, responsible for making sure that the money is available to fund the UK’s public services and for helping families and individuals with targeted financial support.